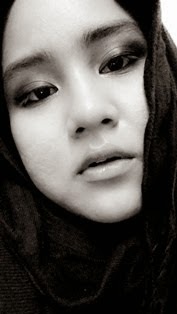 tak suka tak suka pakai tudung bawal, muka jadi bolat macam bebola =>babab => gemok => memang dah menggemok pon => tak sedar-sedar lagi! =P .....needs help! hahaha...cik SALMI pinjam kaki hang sat no. haha..this is just on the upper part which the bottom of this feet is more chronic!! hahhaa...cian pergi snorkeling dapat love bite dan muke terbakor ma...hahaha =D but i'm sure this gonna be the sweetest memory for each of us although it taste as bitter as the coffee. no, we don't regret it as we are all the extream lover chic and we are loving this kind of challenges. haha...SERIUS SAKET wwooooo..
We ended the 'playing with water' day with riding on the banana boat and that was the best among the best. hahha...there were another funny stories about that but let it just keep between us. anyhow, the most happening part about it is we were being threw foolishly on the sea for 3 times. hahhaa..sangat hodoh! Lastly, we've got back to the chalet and fallen deep into sleep with the kerang bakar berenang-renang di dalam perut masing-masing. hahhaa..nak lagi! nak lagi! still with the kerang bakar's story which i don't think we can find the same exact same quality in here as they were really fresh, BIG and well cook! hehehe..
laila-->ur most welcome dear...slalunyer ktorg akk google2 la harga2 y brpatutan..huhu bole jimat lg sbnanyer mek la chalet y murah lg..tp kami xnk sbb TAK CANTIK!hahahhaha..pompuan biasalah nk y selesa jerrr =D haha..